The second part of the transcript of the preliminary injunction hearing between Interplay and Bethesda has been posted, showing the two sides arguing over contract language, TLAs and what Interplay will do with Project V13 if it loses the case. In part one of the transcript, posted a couple days ago, lawyers for Interplay and Bethesda laid down their basic arguments in their openings: Bethesda alleged that, because Interplay's Fallout-based MMOG isn't in "full scale development," it had breached its contract and is infringing on the Fallout trademark, while Interplay claimed that the contract has not been breached and thus the trademark violation did not, and could not, occur. The second part of the transcript, posted on Duck and Cover, gets down to the nitty-gritty a bit more, with Mr. Gersh for Interplay arguing that the two main provisions of the MMOG license contract were made intentionally vague so the company would have no way of determining with any certainty whether or not it was in compliance. "We're here on a preliminary injunction. It's got to be clear. It's going to go unambiguous. And I submit, Your Honor, you don't even need testimony if Your Honor looks at those two provisions and says, 'Wait a second. Is there any definition of these [terms]? Is there any way I can determine as the Court what these mean and when this was suppose to happen for Interplay?'" he said. "And when your answer comes up 'Nope. There's nothing in the agreement,' we should all go home." One of the reasons, according to Gersh, is that while Bethesda entered the negotiations with a squad of seven people, including at least two lawyers, Interplay was represented solely by Herve Caen, the CEO since 2001 and the one guy in the world who seems to have a genuine, almost desperate interest in keeping the company afloat. "Mr. Marbury said that Interplay was represented by counsel in the negotiates. Not true. Didn't come out in his deposition," Gersh said. "Mr. Caen represented the company, handled the transaction himself. Did not have counsel go over the document for him. This is seven people on one side, one person on another. This is how the document came out." 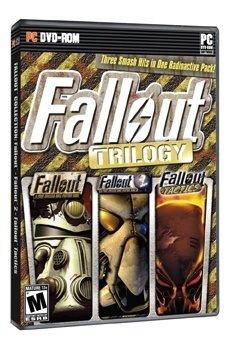 Mixed in with all the legaliciousness, Gersh made two other points of particular interest to gamers: Project V13, if it's allowed to be completed, is still two to three years away, and if Interplay loses the court battle it will simply eliminate all Fallout references in the game and release it as a new IP. As noted earlier, the outcome of this matter has already been settled: The judge denied Bethesda's request for a preliminary injunction against Interplay in December. Nonetheless, the transcripts are an interesting read for the insight they offer into the legal square dance between the two companies. The second part of the transcript ended with the judge ready to hear from witnesses, which means we have even more drama to look forward to in part three. Stay tuned!